Video games have tested your thumbs and brain so many times that you almost don't notice that it's happening. Trials of deduction and dexterity are the vernacular of game design, the foundation of almost every release. While L.A. Noire still features those classic building blocks, it's also testing something entirely new: Your instinct. Though Team Bondi's execution of the idea is not quite perfect, the results of the experiment are just too interesting to ignore. Budding policeman Cole Phelps doesn't just enforce the law on the streets of 1940s Los Angeles, he worships it. The returning war hero seems the sort who'd be just as willing to issue a citation to a grandma who dropped a gum wrapper as he would to haul in a serial killer. What soon becomes clear is that Cole (played with a chipper sterility by Mad Men's Aaron Staton) isn't just a goody-two-shoes; he's trying to atone for a sin you'll unravel as his career plays out. Though his by-the-books nature drives a wedge between him and any average cop unlucky enough to be partnered with him, it also means he closes cases, taking him from a simple beat cop to a lead murder investigator and beyond as the game progresses. A typical case for Cole involves combing multiple scenes looking for scraps of evidence (indicated by a buzz from your controller) and trying to use those seemingly unconnected threads both to tie up the culprit and trip up witnesses holding back on information. The interplay between Cole and suspicious denizens of the city is really at the heart of Rockstar's latest, and the greatest part of what makes it so compelling. When this works, it's really something, like you're working a kink out of some long-dormant brain muscle. Thanks to the game's MotionScan technology, every one of the game's characters sports an absolutely jaw-dropping amount of detail, letting an actor's entire performance come through as they speak. The effect is nothing short of revolutionary. Outside of this specific game, the implications of the facial tech for the industry are hard to oversell. Assuming we see this more widely adopted, game stories will no longer have to rest almost solely on the strength of scripts. As it has always been on the stage and screen, actors will finally be able to lend humanity to the efforts of writers. Though some of the credit has to go to Team Bondi's script, seeing it combined with the work of Fringe's John Noble, Southland's Michael McGrady and literally half the cast of Mad Men makes for one of, if not the, most compelling video game stories ever. But that's enough forward-looking. The MotionScan tech has some very real present day gameplay implications. The replication of acting performances is so detailed that L.A. Noire can reasonably ask the player to judge whether or not interviewees are telling the truth, withholding information or just out-and-out lying. While early witnesses are fairly overblown with their tells (everything short of saying "gosh, I hope you bought that" under their breath) later characters are much tougher nuts to crack. You often have evidence to refute their statements, but far more often you'll end up relying on a knowledge of human behavior and the circumstance surrounding the crime to make your choice. In other words, you have to trust your gut. When this works, it's really something, like you're working a kink out of some long-dormant brain muscle. But the idea's also got a unique set of challenges, namely: When you're wrong, forcing Cole to miss a clue or head down a blind investigative alley, it's not a failure with an opportunity for growth ("I jumped too late to clear the pit, I'll jump earlier next time"), it's just a failure. Team Bondi hasn't included the opportunity to retry interviews, and with good reason: A test of instinct is all about the moment, it's evaporates on a second try. Your guts, by definition, can't get smarter. Team Bondi also makes a misstep by occasionally forcing you to lock up the wrong man in the service of the overall narrative. If you have even a passing familiarity with the mystery genre, your gut will tell you that something's not right about the bust, but you have to ignore that doubt to move forward. It's tough to simultaneously trust your gut and tell it to keep quiet enough that you can move on to the next case. The problem is exacerbated by some of the same cloudy logic seen in the oddly similar Phoenix Wright series. The game occasionally wants you to present a specific bit of evidence when you can make a perfectly valid justification of your own volition. In Phoenix Wright's courtrooms, you get multiple attempts to succeed, but not so on the streets of L.A. If you're wrong, you get frustrated and live with it. Without this tried and true video game structure of fail-repeat-succeed, it's tough to call this central mechanic of L.A. Noire "fun," in the traditional sense. Interesting? Compelling? Sure. Fun? Not quite. I have hope that Team Bondi or some other developer could make this idea into what feels like traditional fun, but it hasn't happened yet. Right now, it's fascinating and frustrating. Luckily, there's plenty of plain old fun on offer. Cole's investigations are peppered with forgiving but enjoyable gun battles marred only by crazy button placement. (Run and shoot on the same button? For shame.) Phelps also stops perps in some less lethal ways, both on foot and with some surprisingly thrilling car chases. If you like, you can take some unassigned cases (typically some sort of crime in progress) that pop up on the police radio as you pursue the main story cases. You're rewarded with experience (also doled out for a well-executed interview) that can earn you additional suits, new cars and "intuition" that can make the game's gut checks a little easier. The experience system is kind of half-hearted, a clear attempt to create the illusion of the depth Rockstar games are famous for, but the bursts of action are their own rewards. The same can be said of the incredible presentation, everything from an authentic sounding period score to the loving way in which L.A. circa 1947 has been recreated. If you really want to appreciate the aesthetics (especially the best-in-class lighting), turn on black-and-white mode and see just how closely Team Bondi and Rockstar have replicated the look of a classic film. When you invite that comparison, you realize how difficult a task the Australian developer was faced with. Your classic detective stories have full control over how much the viewer knows, how much they're allowed to see at one time, and the yarns can be constructed like clockwork as a result. Here, the magnifying glass is placed fully in your hands, and Bondi just has to trust that you'll unravel the case at a satisfying speed. Trying to guess at what speed players will be able to assimilate a huge number of narrative threads and not just solve a binary puzzle must have been a daunting one, but the team has gotten surprisingly close with its first try. This is a little glimpse of an explored territory in interactive media, a hint at an incredibly exciting future that I can only hope we're hurtling towards. 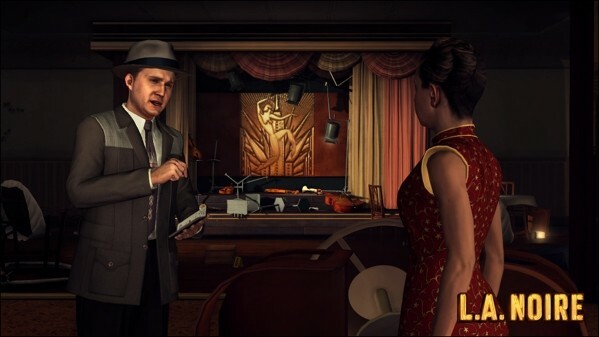 L.A. Noire may not always be "fun" in the traditional sense, but it's also unsatisfied with being "merely fun," and the result of that aspiration is something that no one who cares about video games should miss. 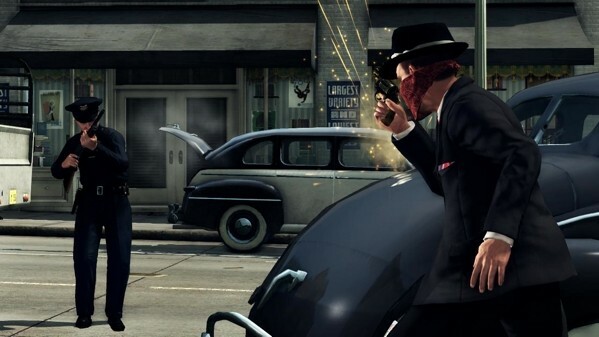 This review is based on early PS3 code of L.A. Noire provided by Rockstar Games.